How do you follow one of the most successful films of all time? Copying the basis of the second novel is definitely a good starting point. 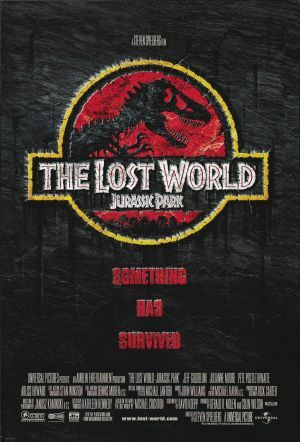 As a sequel to Jurassic Park, The Lost World centres on Dr Ian Malcolm returning to the island to save his girlfriend. However, upon finding her they discover there’s more going on than originally thought. One consistency from the original film is the now lead character, Dr Ian Malcolm (Jeff Goldblum). Having seen what the dinosaurs are capable of, he once again has a pessimistic, sarcastic tone to almost everything he says. “Uh, where you’re going is the only place in the world where the geese chase you.” The film ditches the reserved Dr Grant as a lead for a more outspoken and commanding character. He fills the lead role comfortably, but unfortunately doesn’t add much more engagement than Dr Grant previously did. This is mainly due to his non-approachable arrogance and lack of interest or awe in the genetically recreated creatures from millions of years ago, something that Grant did provide. As the second book was written two years after the successes of the first film it would have been written with the purpose of turning it into a screenplay, therefore increasing moments of action and attempting to appeal to a younger audience. This is evident with more dinosaur kills, explosions and chases, attempting to create a more thrilling movie but unfortunately this doesn’t pay off as the first film contains more drive and interest throughout. The film is much stronger on action sequences, creating an exciting situation in the superb coach and cliff scene, however overall these sections lack character depth, humour and the awe surrounding the human-dinosaur relationship seen in the first film. Malcolm’s daughter also feels shoe-horned in as a logical attempt to replace the loveable kids in Jurassic Park but she ends up annoying the viewer, causing more trouble than necessary. This film does have a more active plot, but it’s not as engaging as the original, repeating a lot of what the first film has already achieved: nervous Raptor scenes and kids causing unnecessary problems. It attempts to build on the first film by boringly adding a second T-Rex, indicating a total lack of imagination. Unfortunately, The Lost World: Jurassic Park makes a pretty weak attempt to fill the huge footsteps created by its predecessor.